India will be one of the 13 countries to host the mega launch of the much-awaited Windows 10, the latest version of the popular operating system, by global giant Microsoft on July 29. Microsoft is hosting events across 13 global cities, including New Delhi, to launch the latest edition of its operating system. "We will celebrate the unprecedented role our biggest fans - more than 5 million Windows Insiders - played in the development of Windows 10 at special events in 13 cities around the world, including Sydney, Tokyo, Singapore, Beijing, New Delhi, Dubai, Nairobi, Berlin, Johannesburg, Madrid, London, Sao Paolo, and New York City," Microsoft said in a blogpost. These celebrations will offer hands-on opportunities, experiential demos, entertainment and opportunities to meet the Windows team, it added. Microsoft will launch Windows 10, a successor to the current Windows 8.1 operating system, across 190 countries on July 29 as a free upgrade or with new PCs and tablets. Windows 10 has innovations like Cortana, Microsoft Edge and the Xbox app. Microsoft claims the new OS is faster, more secure and compatible. Microsoft is also partnering 10 global and 100 local non-profits to make a cash investment of $10 million in support of their missions and to promote awareness of their causes. "In addition to the global non-profits, starting in September, we will crowdsource nominations for 10 non-profits in each of the following 10 countries: Australia, China, France, Germany, India, Japan, Kenya, Mexico, the UK and the US. The 100 local winners will each receive a cash investment to support their work to upgrade the world," Microsoft said. 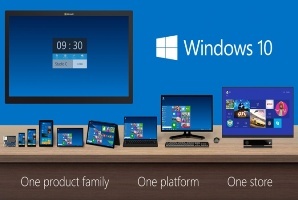 Windows 10: How good will it be?